Today marks the 4 year anniversary of the day Gary Gygax left this world. Please take a moment to reflect on what he has given gamers everywhere. 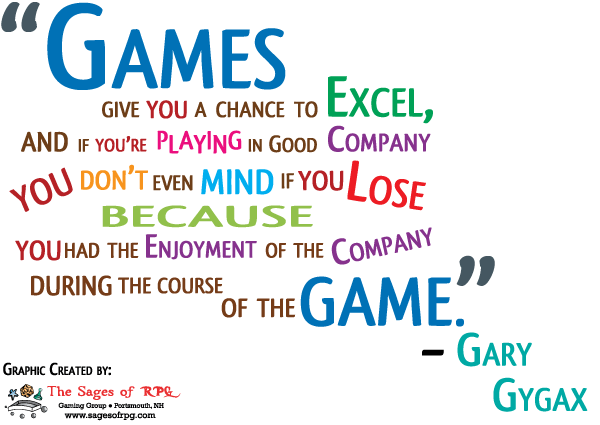 Gaming has added so much to my life and I strongly believe that without Gary and other industry pioneers we would not have the great games, community, and camaraderie that is gaming. At GenCon 2008 the convention held a moment of silence for Gary, where the entire exhibit hall was silent for over a minute. Everyone stopped in their tracks to pause and give tribute to a great man. I have never seen a convention so quite, or still. It was a humbling experience. I had the pleasure of meeting Gary Gygax in few years ago when Jumpgate, our small local game store, had him as a special guest at one of their Games Weekend conventions here in Portsmouth, NH. It was great being able to meet him, and as a teenager who was playing the games he created it was an honor. I have a picture of Gary and I from that event somewhere and will find and update this post soon. Thanks to Gary for all he has given gamers everywhere, and thanks to Jumpgate for allowing a young gamer the opportunity to meet this legend of gaming. Image from Wikipedia of a plaque dedicated to Gary Gygax at Gen Con Indy 2008 in Indianapolis, Indiana.